With summer in full effect, Americans will be spending more and more time outside enjoying the warm weather. When spending time outdoors, it’s important to protect yourself from harmful UV rays by remembering to apply sunscreen. What you don’t want to do though is apply a sunscreen intended to protect you from the sun’s rays, which actually contains toxic chemicals. The lotion you’re looking for is one that is free from potentially dangerous ingredients such as: fragrances, dyes, sulfates, parabens, and phthalates. 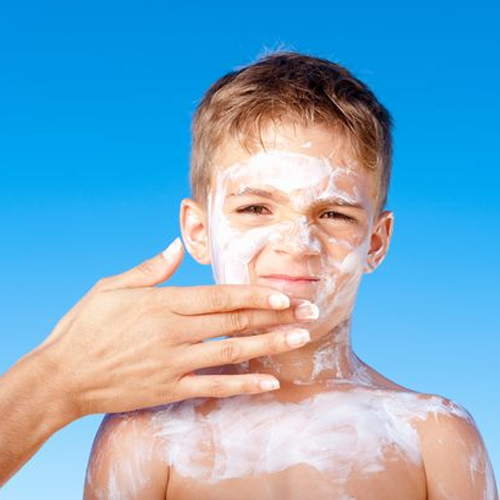 Cosmopolitan spoke with Dr. Joshua Zeichner, a board-certified dermatologist, to get recommendations on 10 sunscreens you can use to protect yourself and your family throughout the summer that contain none of the aforementioned ingredients. As we’ve previously spoken about here at the ToxicFree Foundation, simply relying on the words “natural and organic” to mean the product you’re using is safe from toxic chemicals is far from a sure thing. While Cosmo provides nearly a dozen examples, there are lots of safe options out there for protecting your family this summer.